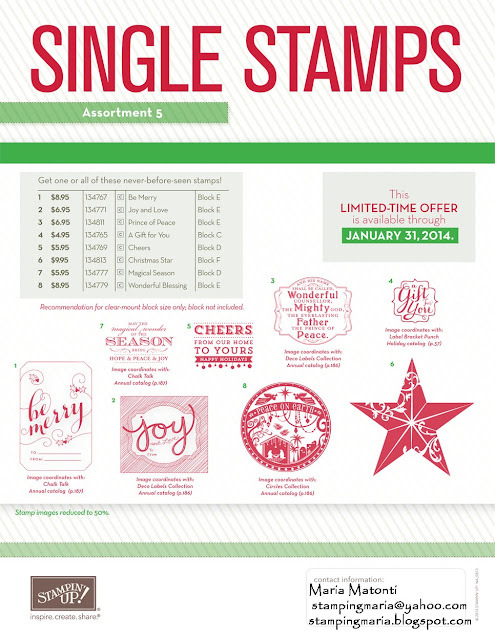 Here are the new Holiday Single Stamps Stampin' Up is offering. Don't forget that the actual stamp size is twice as big as shown on the flyer. This Christmas Star sample was made by Stampin' Up Concept Artist Melody H; you can see the full Stampin' Up Blog article here.